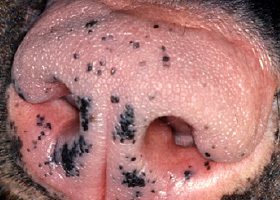 Miller, William H., Griffin, Craig E., Campbell, Karen L. Muller & Kirk’s Small Animal Dermatology 7th ed. 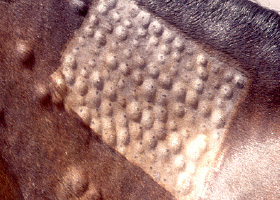 St. Louis: Elsevier, 2013 (243-249). 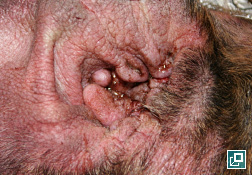 Nuttall T. Harvey G. McKeever. 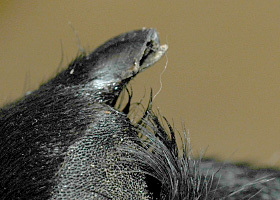 PJ. 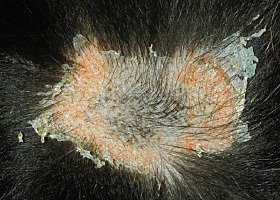 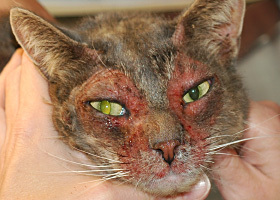 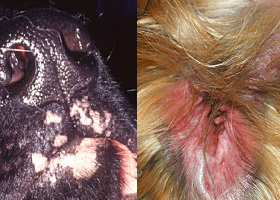 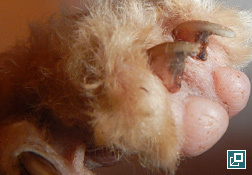 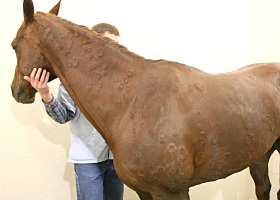 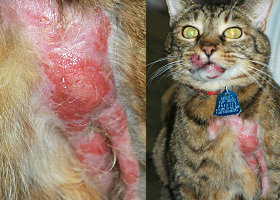 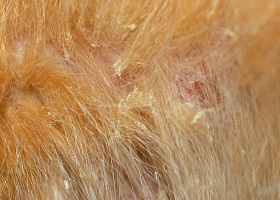 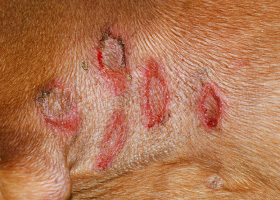 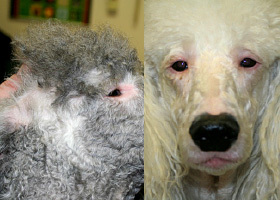 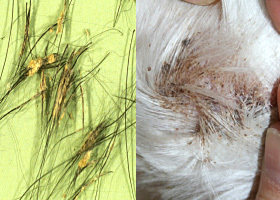 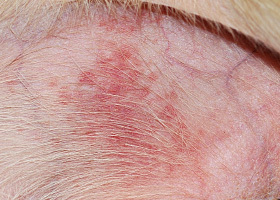 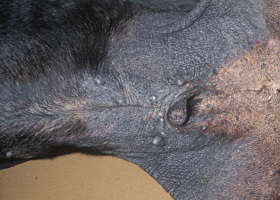 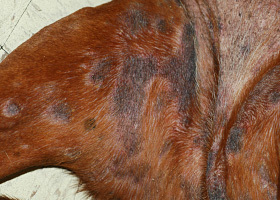 Skin Diseases of the Dog and Cat. 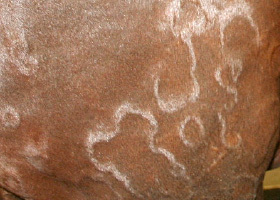 2009.59. 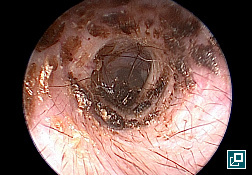 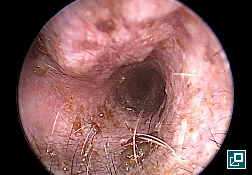 Nodule that is epithelial-lined and contains fluid or solid material. 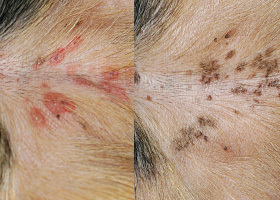 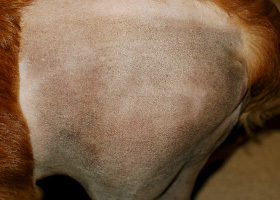 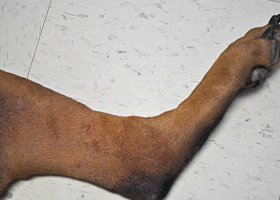 Depigmentation of planum nasale in dog with vitiligo. 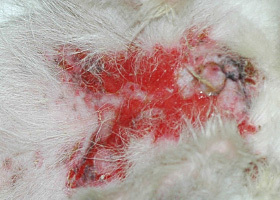 Defect in epidermis that does not penetrate basement membrane. 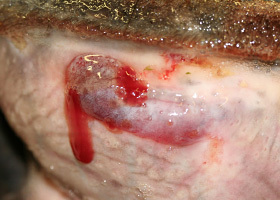 Histopathology may be needed to differentiate from ulcer. 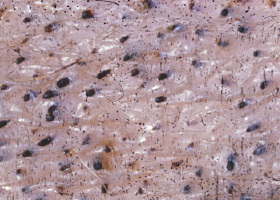 Excessive stratum corneum, confirmed via histopathology. 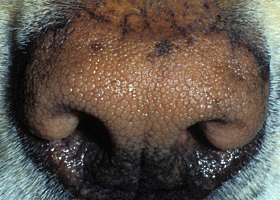 This term is often used to describe the nasal planum and footpads. 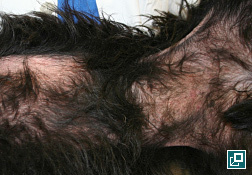 Lack of hair due to genetic factors or defects in embryogenesis. 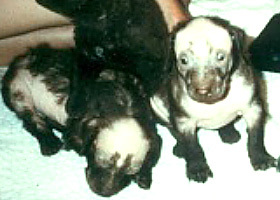 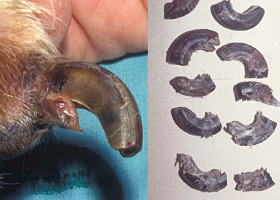 Congenital hypotrichosis in chocolate Labrador puppies. 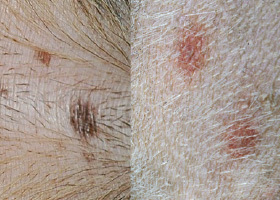 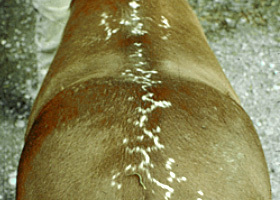 Progressive leukotrichia in patient with vitiligo. 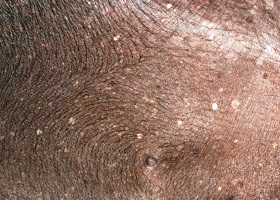 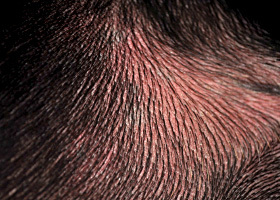 Increased melanin in skin, may be secondary to inflammation. 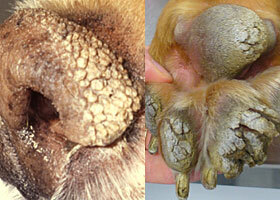 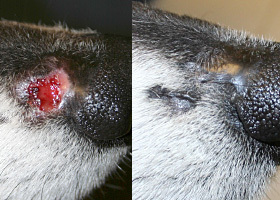 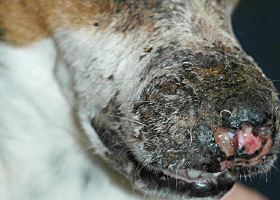 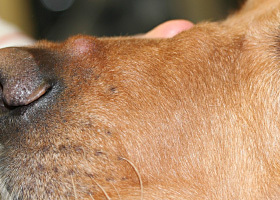 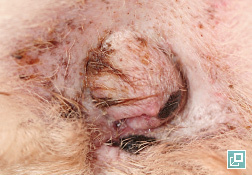 Nodules on nose of dog with cutaneous histiocytosis. 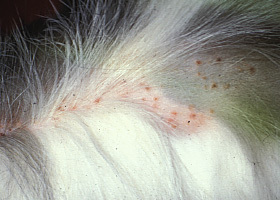 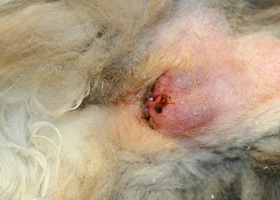 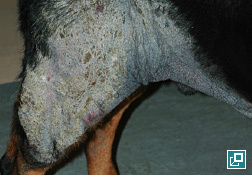 Pustules on the abdomen of a dog with superficial staphylococcal pyoderma. 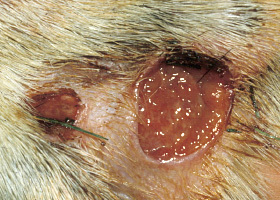 A defect in epidermis that penetrates the basement membrane. 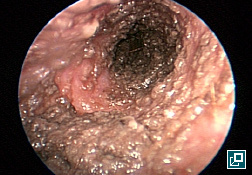 Histopathology may be needed to differentiate from an erosion. 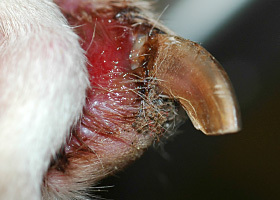 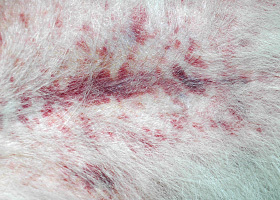 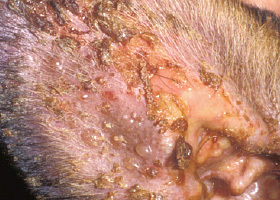 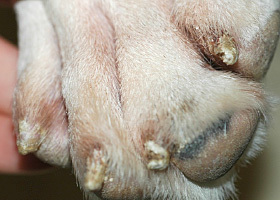 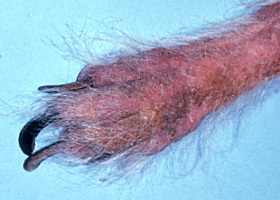 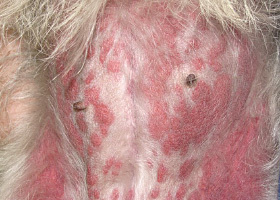 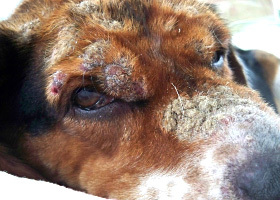 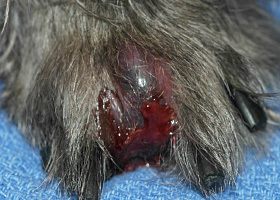 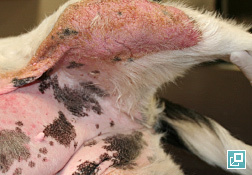 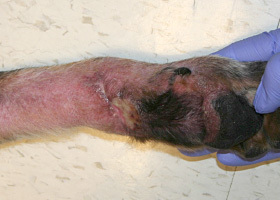 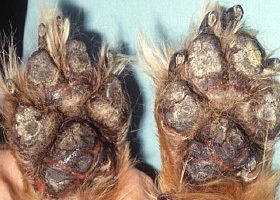 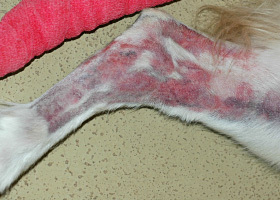 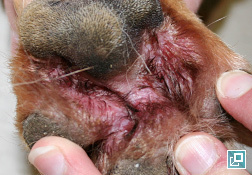 Ulcerations of the skin of a dog with vasculitis. 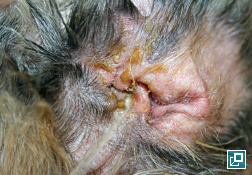 All images and videos are used under restricted copyright given to Zoetis Inc.